The hip forms a ball and socket joint. The ball-shaped surface of the femur (thighbone) fits and glides smoothly in a cup-like depression or socket of the acetabulum (hip bone). This smooth motion can be affected by an abnormally-shaped femoral bone or socket rim, leading to a condition called femoroacetabular impingement (FAI), which limits hip movement. The defective fit causes the bones to rub against each other and damage the cartilage (cushioning smooth tissue on end of bones) that lines the femoral head and acetabulum, and the labrum (fibro-cartilaginous rim around the acetabulum). Cam impingement: The Cam form of impingement is when the femoral head and neck are not perfectly round, most commonly due to excess bone that has formed. Pincer impingement: The Pincer form of impingement is when the socket or acetabulum rim has overgrown and is too deep. It covers too much of the femoral head, resulting in the labral cartilage being pinched. 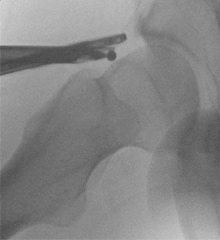 Femoroacetabular impingement can be treated with osteoplasty and rim trimming. 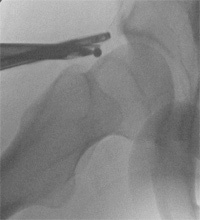 Osteoplasty and acetabular rim trimming can be performed as an open surgery or as a minimally invasive procedure using an arthroscope (a thin tube attached to a lighted camera). A single large incision (open surgery) or 2-3 smaller cuts are made to access the femoral head (arthroscopy). Osteoplasty involves the use of a motorized burr to trim the excess bone at the femur neck. Acetabular rim trimming involves the use of a motorized burr to trim the acetabular rim. The amount of bone removed during this procedure depends on the presence and type of impingement. In case of labral tears, the surgeon uses anchors and sutures to stitch the torn labrum to the acetabular rim. Your surgeon will also repair any cartilage damage present. 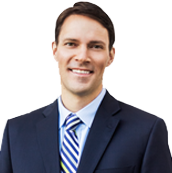 Once the cam and pincers are trimmed and damage to the labrum and cartilage are repaired, your surgeon will close the incisions.